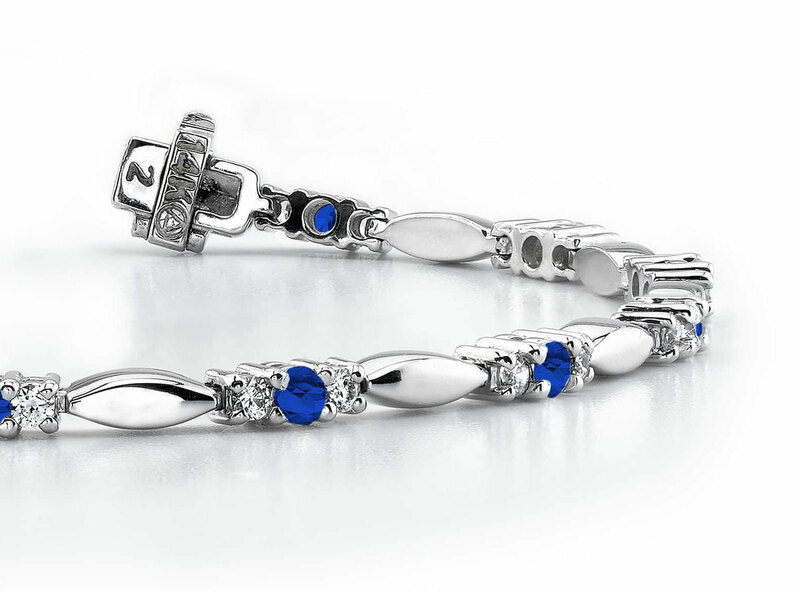 This charming gemstone bracelet is available in 4 sizes, ranging from 1 carat to 4 carats. 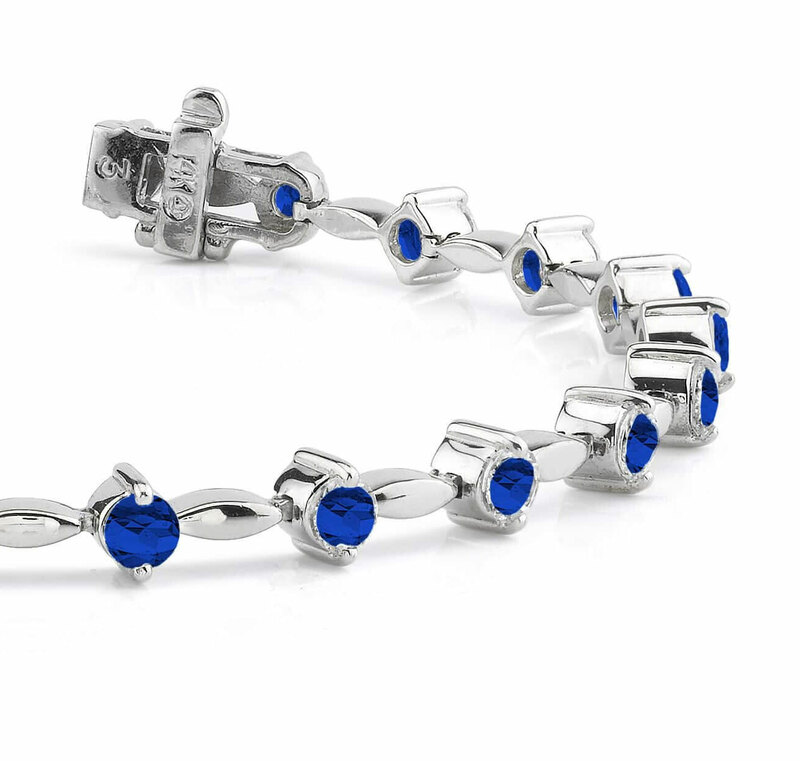 It features beautiful gemstones, round in shape and held securely with a two prong design. 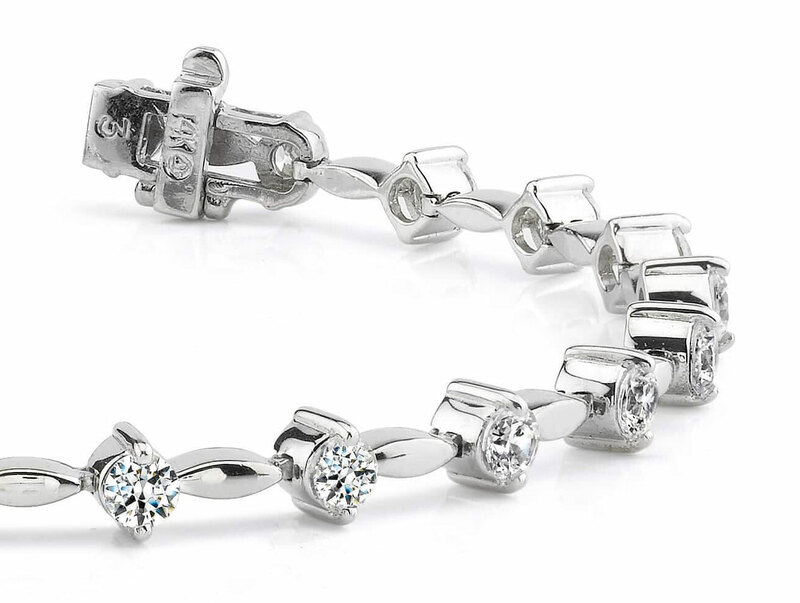 Elegant marquis shaped links separate each gemstone and can be made in your choice of yellow gold, white gold or platinum. The links sparkle and pick up the light making this a great accessory to wear day or night!